Top O' The Mornin' To Ya!! Started my St. Patrick's Day off right with green eggs for breakfast (gotta love those leprechauns turning everything green...) and on my to-do list for today? Rainbow cupcakes...maybe I'll find that crock of gold I've been hoping for! As always, I am in awe of all the talent out there in blogland. I especially love Frugal Fridays because there are so many of us out there (myself included) who love to make our homes beautiful, but don't have unlimited funds to do it. So creating things to beautify our homes becomes a necessity. However, just because you make something on the cheap, doesn't mean you want it to look cheap. That's where you all come in !! Project after project this week that simply amazed me. 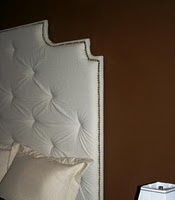 Sweet Tea and Linen shared this fabulous headboard made from what else? a painter's drop cloth - and upholstery tacks. I LOVE upholstery tacks! 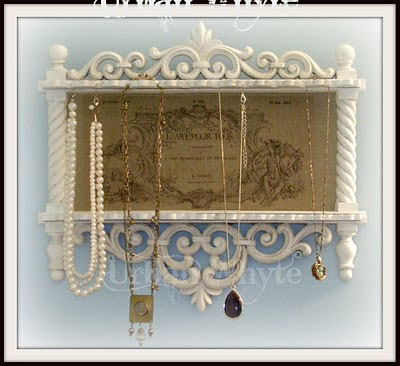 Urban White made this fabulous shabby necklace holder with a French twist! You all never cease to amaze me! 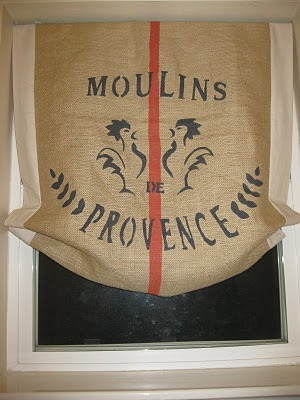 I'm looking forward to this week's installment of The Frugal Friday Linky party for more Frugal OCD (obsessively consumed with decorating) inspiration! I've been busily working away on next week's challenge for So You Think You Can Decorate...if you haven't had a chance to go vote for this week's challenge...hurry...polls are only open until Friday! Happy Pattys day to ya! Yeah we had green pancakes too! Blogland is so amazing~so many great inspirations! Such fantastic talent!!! give me so many ideas that keep me up at night!! Good stuff as always! I haven't been out blogging and when I come back I always see what I've been missing! :) That necklace holder is lovely! WOW! Those are BEAUTIFUL! You picked wonderful faves!! !